She first came to my attention in January, 2014. I'd never heard of her before and hadn't seen her movie. But by the end of the award season just two months later, Lupita Nyong'o had collected a slew of awards – including an Oscar – and had planted herself firmly on the Hollywood “A” List. With her very first movie. No years of toil. No “paying her dues” until she got her big break. She walked in, did her job, and walked off with a career most actors would die for. The Star Wars franchise. Miu Miu ads. The cover of Vogue. Great acting chops, of course. She has great skills and a great image. Combined, they make her unstoppable. Most people tend to think that image means how you dress. But that's only part of it. Image really consists of three elements: how you look, act, and speak. If all three are awesome, the sky's the limit. If not, you won't get very far. Who's the best and brightest? Sadly, that describes most people. If you look around any crowd these days, you'd be hard pressed to find any one person with all three elements. They may look good or they may be polite or they may speak intelligently. But to have all three? That's because most people only focus on one or two elements – if any at all. Manners and speech have become just as sloppy. Go old school and dress, act, and speak with purpose. Not only will you stand out, you'll also leapfrog ahead of just about everyone else, because being the “Total Package” is about as rare as being a unicorn. And unicorns always get special treatment. Lupita Nyong'o is a unicorn. So is Catherine, Duchess of Cambridge. 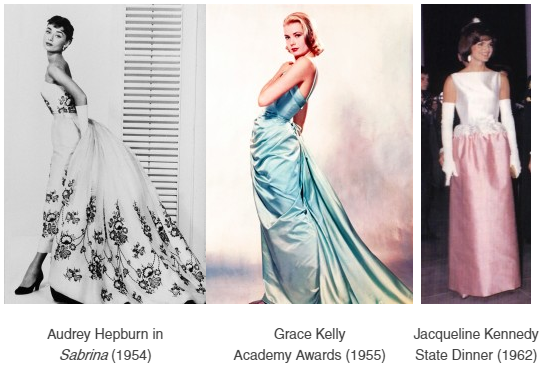 So were Audrey Hepburn, Grace Kelly, and Jacqueline Kennedy. Not surprisingly, all five have something in common: they were born into prominent families and/or had a good education. They understood the power of image and used it to skyrocket their careers. But more that, they had a plan. They determined exactly which clothing styles suited them best, and then they honed their manners and speech. If something wasn't “up to snuff,” they worked on it. Tirelessly. Because they understood something so few do today: legacy. A commitment to excellence that opens doors and creates opportunities. The thing is, it's not all that hard to accomplish – once you know what to do. All you need are a few instructions and a game plan, and you'll be astonished by how quickly things come together. My name's Diana Pemberton-Sikes, and I've been an image consultant for more than 20 years. 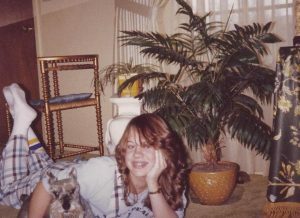 My fashion story started decades ago when I was a teenager. Now earlier I said that image consists of three elements: how you look, act, and speak. By my 14th birthday, I'd only mastered how to speak well. I wasn't much of an athlete then nor was I very popular, so I'd travel the world through the pages of my books. It broadened my knowledge and sharpened my writing skills, which in turn improved my speaking skills. By the time I left grade school, I had the vocabulary of a college student. Other than that, I was a complete mess. Acne, braces, an extra 25 pounds – pictures from that time are truly cringe-worthy. Because I wasn't treated very well in those days. Things weren't much better at home. As the youngest of four, I had no credibility with my siblings. Hand-me-downs. Leftovers. The middle seat in the car with the hump. I never got first choice on anything. I only got the leftovers - what no one else wanted. In time, that kind of treatment takes a toll on your self-esteem. It certainly did on mine. By the time I went to high school, I just assumed that was my lot in life. I had resigned myself to the “D” list – at the grand old age of 14. It was the summer between my freshman and sophomore years in high school. I just stared at him. I'd always been the skinny one, the one my mother used to say she'd have to wrap clothes around twice. To be called fat threw me for a loop. So I did what any fourteen year old girl would do: I went to the bathroom and cried. For twenty minutes. Then, I washed my face, took a deep breath, and turned sideways to look in the mirror. I did look pregnant. Like I was about to give birth at any minute. I resolved right then and there to do something about it. I was determined to prove my brother wrong. By the time I went back to school in late August, those 25 pounds were gone. So was the acne. So were my braces. So was the unflattering hair style I'd worn since 7th grade. Then, magically, so was my “D” List status. Which came as a complete surprise. A funny thing happens when you improve your appearance: people start noticing you. They smile. They hold open doors. They flirt. I was so used to being overlooked and ignored that when I initially started getting attention, I'd look over my shoulder to see who they were talking to. It took a few months to get used to. The difference in treatment was so dramatic, it was like flipping a switch. Like going from the “D” list to the “B” list overnight. I wasn't quite ready for the “A” list – that required a little more time and effort – but it was okay. For the first time in my life, I was on the inside, looking out. People were asking my opinion. They listened to my answers. They were curious about me. When you care enough to look your best, people notice. When you don't, they don't. I was fortunate enough to learn that when I was a teenager. Sadly, most people go their entire lives never learning it – and they've got the battle scars to prove it. "Initially the attention I received was a bit awkward for me, but using your plan for my appearance gave me the confidence I needed to present my ideas and myself as a professional. Is Your Image Helping...or Hindering You? So what kind of life do you want to lead? A penthouse apartment? A cabin by the lake? Money in the bank? Surrounded by children? What? Penthouse in New York - What's your idea of success? Do how you look, act, and sound now reflect the image of how you look in your dreams? Which means that getting from Point A to Point B just got a whole lot harder. Aligning your image with your dreams “greases the chute,” so to speak, making it easier to achieve your goals. Waiting to align them “when you get the money” or “when you lose weight” or “someday” is sabotage. Baby steps can lead to giant leaps in a short amount of time. But not doing anything leads nowhere. Except to more of the same. Increase Your Income 400%? Yes, Please! I once had a client with a good singing voice who grew up poor in a small southern town. Many felt her voice was her ticket to fame and fortune, so as soon as she graduated from high school and saved a little money, she headed to New York. She was back in less than six months, broke and broken-hearted. She may have been the “toast of the town” back home, but she was just a country bumpkin in New York. No one took her seriously. So she came back home, gave up on that dream, settled into a clerical job with a local real estate agent, and spent the next 20 years working and only singing at church and for the occasional wedding. I happened to meet her after she got her real estate license and her boss sent her to me to upgrade her image to work with high end clients in a nearby vacation town. When I asked her what success looked like to her and whether she looked, acted, and sounded like the image in her dreams, she got mad. Studies on culture for the last 100 years – as well as writings dating back to Aristotle – show that attractive people have a distinct advantage over less attractive people. The better you look, act, and speak, the higher your income and status. But it IS reality, and it hasn't changed in thousands of years. You can rail against it - like trying to divert a river - or you can use it to your advantage and ride the current downstream with remarkable ease. I prefer the second, because it gets you to where you want to go faster. The good news is, you don't have to look like a model to be considered attractive. You just have to create “the total package,” which anyone can do regardless of her age, shape, or size. But my client wasn't convinced. So I took the scientific route. I told her to try it my way for a week and see what happened. I picked out a week's worth of clothes for her to wear and told her to record how she was treated as well as her house showing and closing rates. I told her I'd call her in a few weeks to check on her. She increased her closing rate by 400%. She went from selling two houses a month to two a week and quadrupled her income in less than a month. Moreover, she was suddenly in demand as a singer. She'd performed at a wedding with her new-and-improved image, and was invited to perform at a club in that nearby vacation town with the high end clients. She made more singing at the club those two weeks than she had singing at weddings for the last five years. Last I heard, she was performing frequently in musical theater throughout the region while selling real estate part time. That she hadn't worked with an image consultant before that long-ago ill-fated trip to New York. Her life could have followed a different trajectory had she known to “dress for success” back then. "I'm happy to report that the 'shopping experience' has been totally transformed! For the first time in years I KNOW what it is I'm looking for and find it without expending so much time and energy. The change has been like night and day. "Thank you so much for your valuable ideas." But you can impact the future by how you dress today. The good news is, it's not hard. The great news is, change can happen very quickly, as it did for both me and my singing real estate client. All you have to do is determine the image that will help you reach your goals the fastest, and then transform yourself into that person. "Since I signed up for your newsletter, I'm more colorful and happier. You have made a difference in my life! Just thought I'd let you know." Create Your Ideal Image looks at the "Big Picture" and helps map out a plan for your lifestyle and goals. This is the information I wish someone had taught me years ago. It would have saved me so much time, effort, and money instead of trying to figure it out by myself. Because it's one thing to learn how to dress. It's something else entirely to know how to use your wardrobe as part of your personal branding arsenal to persuade. Enrapture. To get people to know, like, and trust you. Remember Audrey Hepburn? Grace Kelly? Jacqueline Kennedy? They were all “Big Picture” women when it came to their clothing and image. They didn't think in terms of “it” handbags or “must have” trends or what to wear today. As I said earlier, they thought in terms of legacy. Of creating a look that was so distinct they'd be praised for in their lifetime and be remembered for it long after they were gone. Most women don't do that. They think about what's comfortable today. What's in fashion this season. What's clean and fits right now. If they think of clothing at all, that is. 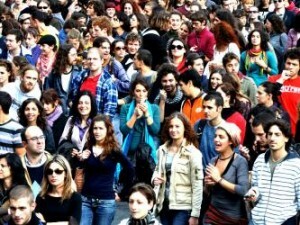 A look around any crowd will show you that for most people, clothing isn't even on their radar. Neither is proper grooming. Or their image. Which is why they tend to be overlooked and ignored. If that describes you, Create Your Ideal Image can help. It will get you thinking not just about clothes, but about the most profitable, memorable image you can create based on your body, industry, lifestyle, and goals. It's like nothing you've ever seen before. But it's not right for all industries and can even be detrimental in some. 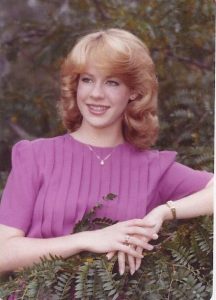 So if you've ever chided yourself for NOT looking like this or wondered why you didn't hit the genetic lottery, STOP. Looking good isn't reserved for the tall, young, and famous. Any woman can look fabulous if she wants. All it takes is a plan. Create Your Ideal Image gives you that plan. 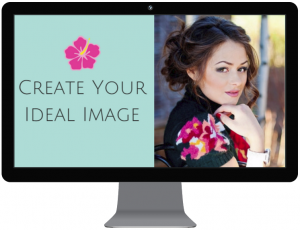 Create Your Ideal Image is designed to get you thinking about your image in a way you never have before. Most women rely on celebrities for style advice, according to a recent survey. I'll show you why that's a bad idea, and what to do instead. We start with the "big picture" and work our way to the nitty-gritty details. By the time you're done, you'll not only know the image secrets that propelled women like Audrey Hepburn, Grace Kelly, and Jacqueline Kennedy to the height of fame, but how you can model them to create your own unforgettable image. Ready to be as popular as Scarlett O'Hara at the barbecue? From Ancient Greece to mid-Century Argentina to how Rihanna dresses, I take you back in time and around the world to help you understand how to craft an image that turns heads, opens doors, and moves you to the front of the line. Yes, this is pretty high-level stuff and definitely not for everyone. But if you're ready to “take the bull by the horns” and use your image to help instead of hinder, I can help. No more being overlooked and ignored. No more being passed over for promotions or perks. No more being "out of the running" for cool stuff and awesome opportunities. Instead, you'll be the first choice every time. What's it like to go from being a bit player to being the star? There's not a lot of mystery involved. Just a few simple steps that can transform your life. It happened to me when I was a teenager with no money. It's happened for thousands of my readers, and it will happen for you, too. "Ever since I started getting your books and following your advice, I started getting compliments from the people around me for the first time in my life. And, to top it off, I finally get my much awaited promotion to Director! Thanks to your advice in the Industry Darling and all your books." "I am sooo excited (thanks to YOU)....after reading Wardrobe Magic several months ago, I finally put it into action! I went thru my closet, and I just ordered some clothes to go along with what I already have and just built my 1st clothing capsule!! Cost per wear formula = less than $20 for each outfit. I also created my color palette with all the details I need when I'm shopping at the store or online. "Thank you again.....You have changed my life!" Again, I really appreciate your advice! As a young-and-young-looking high-school teacher (26 but consistently carded, lucky me!) I feel the need to draw a hard line with my wardrobe---and that line is usually a higher neckline and lower hemline than anyone my age would wear if, say, they worked in an office or at a bank. Working with teenage boys and being attractive is a bit like working with sharks and having an open wound! If I accidentally showed too much leg sitting down the wrong way, I KNOW they wouldn't be able to focus on the lesson, and it has everything to do with their hormones, not my thighs! I have a hard time communicating this distractibility to my female students---the dress code isn't to keep our girls concealed, it's to keep our boys on task! "Keep up the excellent work, Diana, I really appreciate everything you do!" I think FashionForRealWomen.com is the best thing I have ever seen on the web and I do a lot of reading on this subject. I have learned so much from the emails you send out and am looking forward to being able to buy your ebooks as soon as I can. Your advice in my opinion is worth the time it takes in my day. There are a lot of advice columns regarding clothing and yours stands out. I feel like I have finally found an amazing source of advice that I can trust and that I don't have to keep searching elsewhere. Thanks for all you do. I will definitely recommend your website to my friends and when I think of something that you don't already cover, I'll send the idea. Thanks again!" "I must say that all of your ebooks are so much better and more detailed than anything I have seen for fashion before. Some of the information I am familiar with, but this is the first time I have ever had all in one place. "Also, the Style Icon information is fabulous. I am still processing that. Last Saturday, I was at an ASID seminar and there were several frame photos of people from the 40's and I found myself applying what I have been learning from each of the 12 sections and the homework. Excellent information! "With the wardrobe information, I was able to purchase a stunning cocktail dress as well. I felt terrific and received so many wonderful compliments that I cannot say enough about your products." 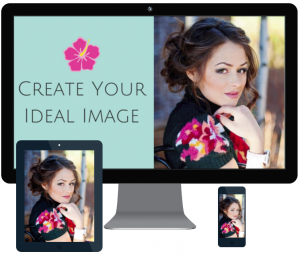 Create Your Ideal Image is an online course that you can watch from your computer, tablet, or mobile phone. Nine step-by-step videos that teach you how to create a world class image that opens doors and propels you to success quickly and easily.Running time: about 1 hour. Print this off and fill in the blanks as you go through the videos so all your notes are all in one place. By the time you're done, you'll have a written game plan of how to create your ideal image. All you have to do is execute. It's always easier to make a plan when you have a template to reference and build upon. Legendary Ladies looks at four extraordinary women who took the world by storm, and what was so unique about them. Master some of their tricks, and you'll be well on your way. Everyone loves a good makeover, and these are some of the best. From high school girls to librarians, scullery maids to cops, here are 10 of the movies best makeovers and what you can learn from them. Well, if I met with you one-on-one to go over all of this, it would cost about $500. Even digitally delivered, it's still worth more than $200. If all Create Your Ideal Image did was get you a raise, would it be worth it? If it allowed you to escape that feeling of being trapped – like you had no options - would that help with your peace of mind? If you could suddenly get the attention and respect you deserve, would that make a difference in your life? ...for the one time price of $49. For less than the cost of one of those unworn items sitting in your closet right now, doing you no good, you can have a wardrobe plan that actually makes a difference, now and for years to come. But be warned: I may pull this offer or raise the price at any time. 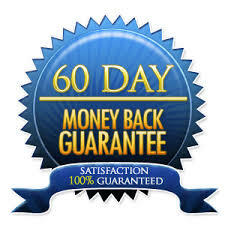 These videos contain material you won't find anywhere else online – secrets I've learned reading hundreds of books and thousands of articles - and I reserve the right to pull it off the market or raise the price any time. You can get it for $49 today if you act TODAY. It may not be here tomorrow. Then return it! If Create Your Ideal Image doesn't meet your expectations, simply return it for a full refund within 60 days, no questions asked. I happen to think it's a terrific resource that you'll turn to again and again, but if you don't just give it back. If you're not happy, neither am I. How close are you to that image right now? Because Create Your Ideal Image could be the first domino to help you get there fast. Once you understand the “big picture” and all that's required to turn your dreams into reality, it not that hard to topple the first domino, which is how you look. Because once you get the packaging right, life becomes so much easier. It's not a far-fetched dream. It's a reality that's within your grasp, IF you chose to make it happen. Create Your Ideal Image can help get you there. Just click the add to cart button below and you'll be taken to the PayPal checkout page. If you don't have PayPal, just click the Credit Card link instead and fill in your details. Once your order is approved, you'll be sent an email with your username and password. You can login to the course and start watching the videos right away. They're all there ready and waiting for you. Watch over several days or all in one sitting. 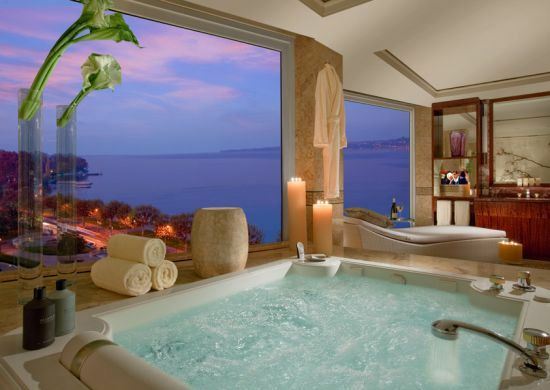 Come back as often as you like – it'll still be here. You'll also get instant access to the three bonuses. Print off the worksheet and take notes as you go through the course, but save the bonus videos until after you watch the course. Then, start implementing the little tweaks I suggest. 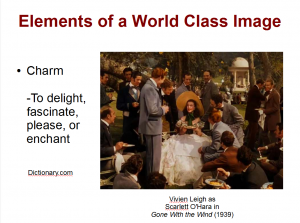 Before you know it, you'll be on your way to understanding the power of image. Again, the current price is available today. Come tomorrow, it may not be. So don't delay! Get Create Your Ideal Image today! You've got dreams. Let me help you dress for them.